I've been pretty busy lately, and missed my chance to "live blog" the second attack on Fort Meigs, which occurred from July 21 to 28, 1813. I have some great journal entries from American officers who were there, particularly First Lieutenant Joseph H Larwill of the Second Regiment of Artillery. I'll post them here as soon as I have a chance to transcribe them, as well as a summary of the battle. In the meantime, I'll leave you with a question. The second attack on the fort is most often described as the "second siege", but British Major General Henry Procter had no heavy artillery, dug no entrenchments, and only half-hardheartedly cordoned off the garrison from outside help. Thus, I've heard the attack described as an "investment". But the term investment is not very catchy. 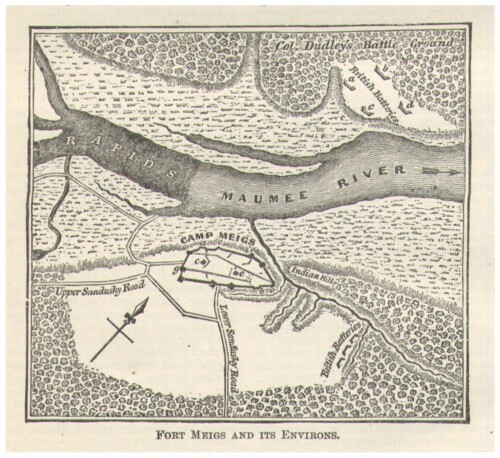 What would you call Procter's second expedition to the Maumee River?